On Friday morning, the public art organization Community Canvases teamed up with the office of Buffalo Common Councilman Michael LoCurto to officially unveil its latest project, the transformation of several utility boxes along Hertel Avenue between Delaware and Starin avenues into works of art. 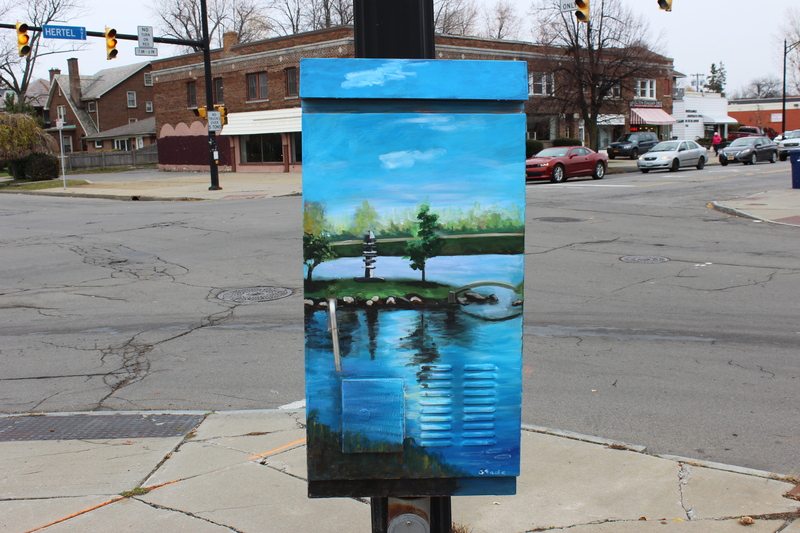 Buffalo artist George Grace was responsible for painting seven of the Hertel boxes, which depict neighborhood institutions and events such as the North Park Theatre and the Italian Festival. Artist Elaine O'Toole also contributed to the project.